In a recent interview I was asked how I got started working in virtual worlds. 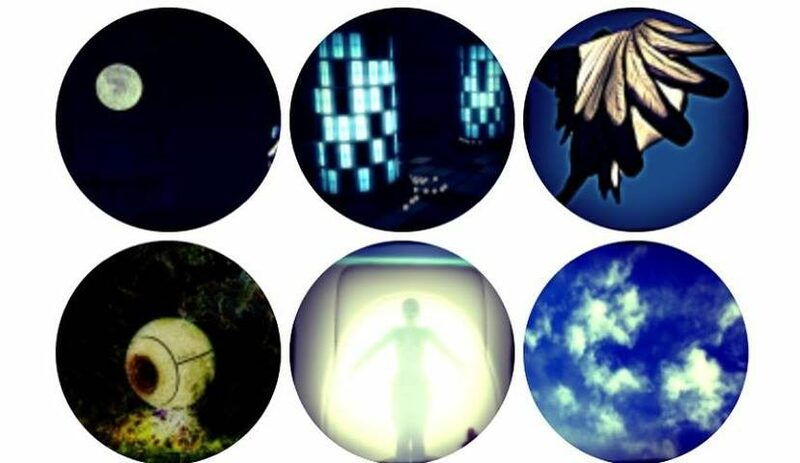 It got me to thinking about one of the very first projects I worked on that incorporated multiple locations and first played with the idea of virtual reality. The year was 2003 and the project, a collaboration with Jeremy Owen Turner, was the Ladonian Noble Wedding Project. Jeremy and I worked with many amazing people on this project, including artist Lars Vilks and programmer Steve DiPaola. The project had many layers and is sometimes difficult to explain in conversation – so I am posting this description of the piece that I found in my online archives. 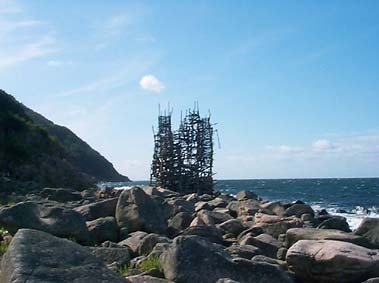 Both Liz and Jeremy are members of the virtual Nobility in the micro-nation Ladonia, created by Lars Vilks. Ladonia has a current online population of 10,000 citizens from around the world. There are nearly 4,000 members in the Nobility, only 75 of which are cabinet Ministers. Liz Solo holds multiple titles including the ruling High Priestess of the Avatar Domain. Jeremy Turner is a Ladonian Count and has his own Ministry in the Ladonian Cabinet. He votes in an online parliament. For his first official duty as the “Minister of Avatar Affairs”, Jeremy sought the hand of a Noble Lady in matrimony in the Avatar (virtual chat) environment called OnLive Traveler. The cyber community began in 1994. Using the arcane rituals of Ladonia, The High Priestess Liz arranged the marriage between the eligible Count and his most compatible suitorette. Liz conducted the official Marriage Eligibility rites on the Ladonian homeland (near Arild, Sweden) and the intricate courting rituals in OnLive Traveler environments. 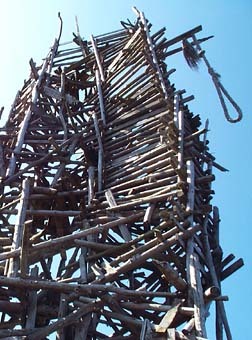 Archives of the Eligibility Rituals were featured at an exhibit on Ladonian culture at the Taper-popermeyer Gallery in Malmo, Sweden in October, 2002. After auditions, courting rituals and stringent astrological profiling the most eligible bachelorette was determined to be the Lady Lux Interior, also of Vancouver. After a lengthy courting process the Count asked for the Lady’s hand in marriage at a special online Engagement Ceremony in July 2003. The Count and the Lady were married in OnLive Traveler on August 15, 2003.The Noble Wedding happened simultaneously online in the OnLive Traveler community and live at a special performance at the research labs at Simon Fraser University’s Surrey campus – a cyber-physical event. 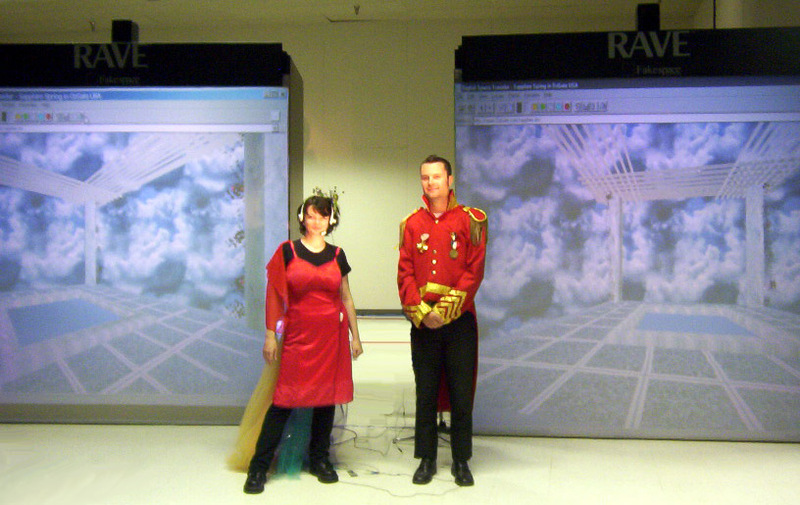 Liz Solo and Jeremy Own Turner as Count and Countess at the Simon Fraser VR Laboratory with virtual wedding hall projected from OnLive Traveller. 2003. The Ladonian Noble Wedding Project was developed with the support of the Newfoundland and Labrador Arts Council and the Canada Council for the Arts, Inter-Arts Office.